Microsoft announced two new Zune players today in addition to new software, social features, and marketplace store. Both new Zunes will sport features such as a new touch-pad technology labeled “Zune Pad” and wireless music sync with network computers. The first model is available only in black, holds 80GB of media on a standard hard-drive, has a 3.2-inch screen, is 1/3 thinner than the original, and comes with “premium” headphones. 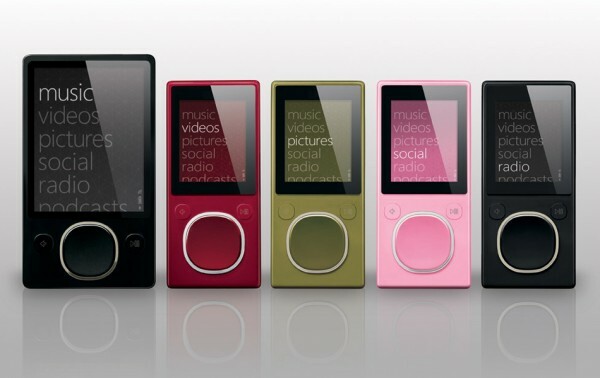 The second announced Zune is flash-based, available in 4GB & 8GB capacities, has a 1.8-inch display and is offered in pink, green, black, and red. In addition to supporting playback of music, photos, and videos both Zunes have a built-in FM Tuner. The most notable feature by far is the Wireless Sync, which allows owners with wireless networks to setup automated sync with their computer. With this feature, the Zune can keep up to date with the latest downloaded podcasts or any new media added to the computer. Songs can also be shared between Zunes wirelessly and can be kept without time restrictions. Since the new devices are also compatible with Windows Media Center, any recorded show can be transfered seamlessly to a Zune. The unit now supports MP4 and H.264 formats in addition to WMV. The upcoming upgrade to the Marketplace will include a directory to thousands of podcasts, millions of DRM-Free songs, a new layout, social networking features, and plenty more. The new Zune Pass, costing $15/month, will offer access to unlimited amounts of music downloads. The best part of the new announcement may just be the fact that Microsoft will continue to completely support the original Zune by releasing a firmware upgrade which will include all the the features the new Zune has. As for the new models they will be in November costing $250 for the 80GB model, $200 for 8GB, and $150 for 4GB. 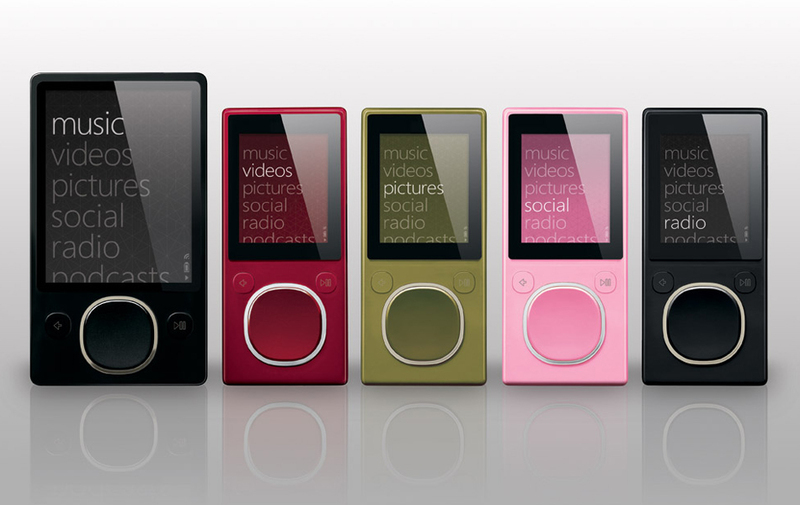 UPDATE: Microsoft has just confirmed that the Zune will be available on November 13th! this looks better than the new ipod nano. just the thought of having wifi in such a small flash-based device is pretty awesome. plus i kinda like the idea of syncing my songs wirelessly. I’m having trouble loading the software onto my computer.